Perhaps no other place in France holds more associations for English-speaking visitors than Normandy. The historic Allied landings on D-Day - 6 June, 1944 - live on in the memories of British and Americans alike. Nor has Le Havre forgotten the dark days of the war. The port was nearly completely destroyed during the Normandy campaign. Today, Le Havre is France's second largest port and the gateway to Paris, "City of Light," the Norman countryside, and the historic landing beaches. 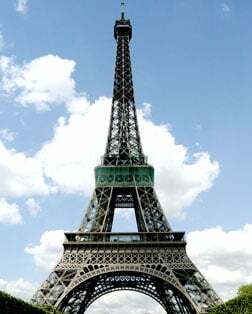 Travelers usually head for the historic landing sites or to Paris. Yet Le Havre was designated a World Heritage Site in 2005. The Musee des Beaux Arts Andre Malraux boasts one of the finest collections of Impressionist painting in the world. Known as "La plus belle avenue du monde" ("The most beautiful avenue in the world"), the Champs-Élysées boasts luxury specialty shops, cafés and the Arc de Triomphe, the world's largest triumphal arch. The Musée d'Orsay houses the most comprehensive collection of Impressionists in the world. Across the Seine is the Louvre with such works as the Venus de Milo and the Mona Lisa. Cathédrale Notre-Dame de Paris ("Our Lady of Paris") was one of the first Gothic cathedrals, and is widely considered one of the finest examples of French Gothic architecture in France and in Europe. The Normandy American Cemetery honors the soldiers who lost their lives in WWII, most of whom died in the D-Day landings on five beaches on the coast of Normandy. The capital of Upper Normandy is home to the highest spire in France, Cathédrale Notre-Dame de Rouen, a Roman Catholic Gothic cathedral immortalized by Claude Monet in his paintings. The small town of Honfleur surrounds a little 17th-century harbor in Normandy, and is known for its old, picturesque port, houses with slate-covered frontages, historic buildings and churches. Versailles was designed as a palatial center of government for Louis XIV. Its garden is the most famous in the world featuring huge parterres, an orangery, and grand fountains.